The Amateur Cinema League (ACL) was founded in New York City on July 28, 1926, releasing their first issue of their journal, Movie Makers in December of that year. The ACL was the first international association for non-professional moviemakers, spurred on by the increasing popularity of the amateur filmmaking subculture in the late 1920s (Swanson, 128). The Amateur Cinema League in 1926, Movie Makers, Dec. 1926, 2. By focusing on non-commercial filmmaking, the league strove to nurture and support an amateur movie making culture internationally. Objectives for the organization included increasing the pleasure of making home movies, promoting amateur cinematography as a sport, organizing amateur movie clubs, publishing a monthly magazine for amateur filmmaking, establishing a film exchange, encouraging amateur film writing and finally, maintaining home picture making on an amateur basis. ACL Pin in Movie Makers, Nov. 1953, 282. The annual selection of the “Ten Best” began in 1930 and continued until the demise of the Amateur Cinema League in 1954. Ten of the year’s best amateur films were informally chosen by the staff of Movie Makers magazine at their headquarters, with ten more on a list of Honourable Mentions. That first year, films varied widely with winners such as Rushes, a film about wild rice plants in a marsh; the travelog Havana; and Honourable Mention The Forgotten Frontier a film by female amateur filmmaker Miss Marvin Breckinridge about the Kentucky Nursing Service. Initially, the list was not framed as a contest, but was a recognition of memorable or noteworthy films viewed by staff during the year (Tepperman, 57). Rather than maintain a rigid set of principles for films for the Ten Best contest, the organizers remained flexible and fairly assessed films for inclusion. Pictured in Movie Makers, June 1928. 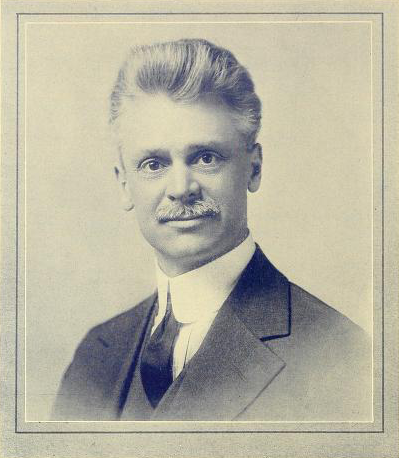 Hiram Percy Maxim (1869-1936), a 57-year-old from Massachusetts is credited with founding the Amateur Cinema League. Maxim was the ACL’s first president, and like the other directors was male and came from a more affluent social status allowing them to partake in a fairly expensive hobby such as filmmaking. Maxim was an inventor and amateur enthusiast, influenced by his family. His father was Hiram Stevens Maxim who invented the first portable machine gun, and his uncle Hudson Maxim invented smokeless gunpowder. In 1886, Hiram Percy Maxim was Massachusetts Institute of Technology’s youngest graduate at age 16 from a course in engineering. His interest in amateur activities also extended to radio. Maxim founded the American Radio Relay League (ARRL) in 1914, 12 years before founding the ACL. The ARRL still exists today as a noncommercial organization of radio amateurs, dedicated in advancing the art, science and enjoyment of Amateur Radio. After his death in 1936 a memorial award was added in the Ten Best competition in 1937 by Maxim’s son Hiram Hamilton Maxim and daughter Percy Maxim Lee. Dubbed the “Hiram Percy Maxim Memorial Award”, it was given out annually until 1954 to the top non-commercial film of the year that received no compensation from a sponsor. The first award winner of the memorial award was Hamilton H. Jones’ Western Holiday. centerforhomemovies. 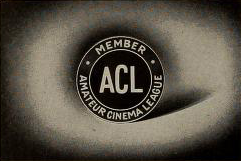 “Amateur Cinema League Logo”. YouTube. YouTube, 19 July 2012. The majority of submissions and films chosen throughout the years were primarily from United States and films submitted were of a wide variety of genres, from experimental to home movie to travelogue. Each film selected for the Ten Best were reviewed in a paragraph by the ACL, analysing or commenting on the films merits. The ACL was unique in that it included such a detailed review of each film in Movie Makers, whereas other magazines such as Photoplay only included a line or two. Films included in our database from Movie Makers draw from these paragraphs in the “description” section of each film of our website. The Ten Best selections became benchmarks against which other amateur films were compared to since, by the 1930s the level of technical and creative accomplishments for filmmakers was fairly advanced. From 1935 onwards, the ACL also distinguished its films as “nontheatrical” emphasizing the amateur filmmaker as its demographic. The following year, staffers also created two classes of films in the Ten Best, “General Class” and a “Special Class” which identified three films as sponsored. Special class films of 1936 included As We Forgive, Mount Vernon Seminary, and The Story of Maytag. The two classes were eliminated in 1948 and all amateur films were once again included in the competition. The Amateur Cinema League thrived for over 20 years before they ceased publication of Movie Makers when they were unable to meet revenue expenses in 1954. Those who wished to continue with an amateur film organization were able to transfer their membership to the Motion Picture Division (MPD) of the Photographic Society of America (PSA). Codella, C., Hiram Percy Maxim.” Qst 98.2 (2014): 72-75. Kattelle, Alan D. “The Amateur Cinema League and its films.” Film History 15, no. 2 (June 2003): 238-251. Tepperman, Charles. Amateur Cinema: The Rise of North American Moviemaking, 1923-1960. University of California Press, 2014. Swanson, Dwight. “Inventing Amateur Film: Marion Norris Gleason, Eastman Kodak and the Rochester Scene, 1921-1932.” Film History, 15, no. 2 (2003): 126-36.